There was a time when, after seeding, farmers would come back to their fields to spray and then often not return until it was time to combine. Not anymore. Today's most successful growers recognize crop scouting as one of the most valuable ways to protect their investment. In fact, farmers become converts pretty quickly when they experience the power of scouting first hand. Entomologist Mike Dolinsky has seen it several times. One case involved a farmer who was worried about a pest infestation — specifically, thrips — in his canola. The farmer described the field as "loaded" and he was wondering if an insecticide pass was in order. "As we scouted the edge of the field, "loaded" is also how I would have characterized the population of the diminutive black insects — but they weren’t thrips, they were parasitic wasps (Macroglenes penetrans)." The fact that the insect in question was not a thrip could be more important that what it was. Given the ever-increasing value of crops, the rising cost of inputs and relatively inexpensiveness of insecticides, Dolinsky says farmers probably need to re-evaluate how and when they are deployed. However, the point he wants to drive home here is that a decision to make an insecticide pass when the insect in question has been misidentified is the wrong decision — every time — regardless of how 'cheap' the insecticide is. It's examples like this that are fueling a paradigm shift in crop scouting. Where once it was seen as simply another cost, growers and their trusted advisors are now spending more time sleuthing through fields, hoping to catch and treat problems before they cause havoc on the crop, and on the farmer's bottom line. Dolinsky agrees scouting is becoming more common, largely because people see that more knowledge leads to more understanding and smarter decisions. Scouting: Seasonal or Year Round? Often people think of scouting in terms of a season, like from seedling to the reproductive stages of crop. At this time, growers and agronomists typically scout for insects, diseases, and weeds. However, some crop advisors start scouting six months to a year before a crop is even planted. This reflects a broader trend toward proactive, rather than reactive, scouting. In this approach, one isn’t simply reacting to problems after seeing a symptom in the field. Rather, it includes planning, researching, and preparing during what’s typically viewed as ‘off season’ crop scouting. Dolinsky views crop scouting as the active investigation that takes place in the field. His advice to farmers in regards to scout timing? 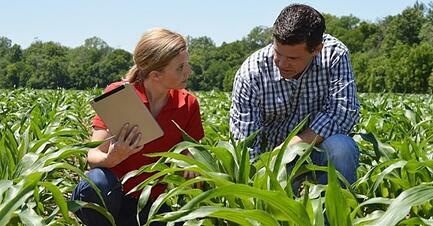 "As soon as your crop comes out of the ground you want to be keeping an eye on it. It’s important to remember that you want to feed nutrients to the plant before the bloom period because once it blooms, the plant shifts its focus to filling the head. You want all of the biomass and nutrients loaded into the plant before it pollinates. When that happens, the plant has shifted from the growth stage to the filling stage. Right after pollination there is one last window to apply some extra nitrogen that could drive protein up, but that window closes in under a week." 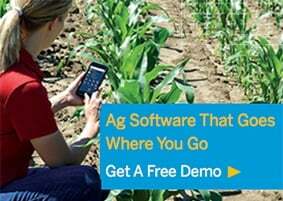 Check out our free, on-demand webinar for more advice on crop scouting. Mike Dolinski is a leading entomologist who has over 30 years of expertise in entomology extension and integrated pest management, first as the Provincial Entomologist with the Alberta Government, and then as an independent entomologist who runs a consulting company.